Love your job but feel like you're in need of a little inspiration? Or maybe feeling like you need to recharge and disconnect in order to refocus? Enter Unsettled - an amazing co-working retreat that lets you do just that, in a beautiful location, all while clocking in for your 9 to 5. Choose from jaw-dropping places like Bali, Nicaragua, Peru, Colombia, Barcelona, Marrakech, and more. 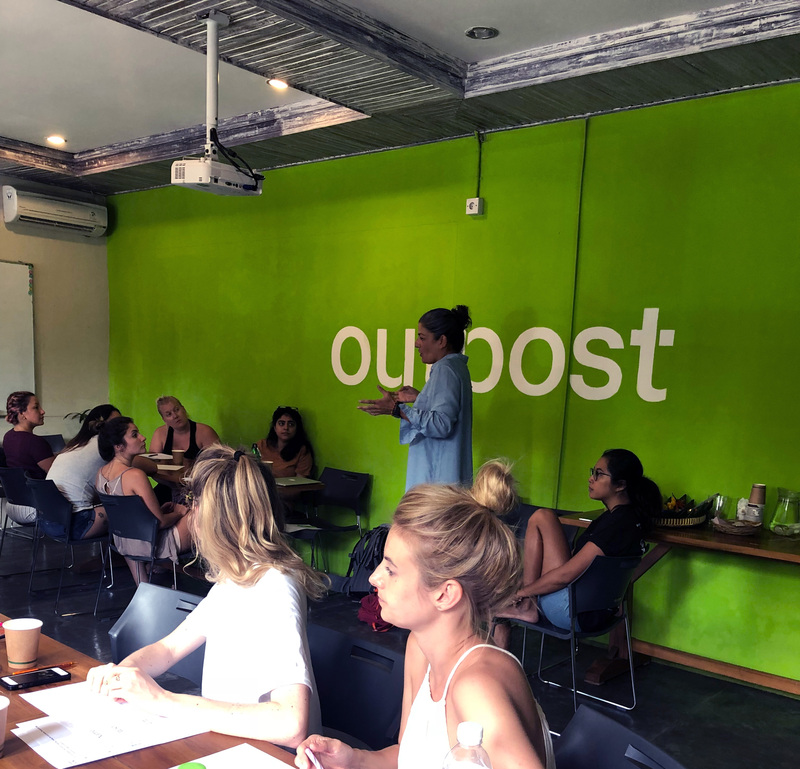 I just wrapped up living unsettled and working remotely in Bali last month with the support of Rebel, and it was a transformative experience. So why is working abroad not only good for business, but for your soul? Read on. Talk about inspiration OVERLOAD. Every single day you wake up and find yourself in awe of the world around you. I frequently had to pinch myself in Bali - I could not believe this lush place was real. Seeing destinations in pictures versus experiencing them in person is vastly different. I thought I was prepared for the beauty of Bali, but I wasn't. You've got a whole month to soak up the most beautiful sights in the world and disconnect in a location full of inspiring people. If you're feeling burnt out or low on inspiration, this is a great way to re-connect with yourself and your goals, and craft new ideas that you can bring back to your company. No one said living unsettled would be easy - it can be overwhelming and uncomfortable leaving your home to work remotely in a foreign country. But we all know the best growth comes from challenging yourself and getting outside of your comfort zone. You'll do things you never thought you had the courage to do - all with the support of a phenomenal group of people from all over the world who are also living Unsettled with you. I chose Bali because it was the destination that scared me the most - I'm not a hot climate girl, I'm afraid of the ocean, and I really dislike bugs and large groups of strangers (even though I'm a social butterfly). Choosing Bali meant that I would have an opportunity to grow as a person and push past my biggest fears. 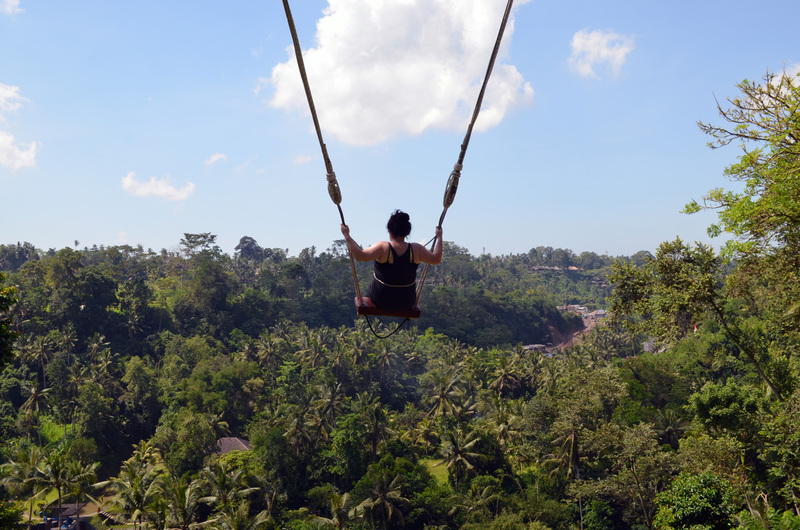 5 things I did in Bali that scared the crap out of me: meeting and living with 30 strangers, white water rafting, feeding monkeys, swinging into the jungle, and snorkeling in the middle of the ocean. Unsettled brings together people from all over the world, so you get to gather inspiration and knowledge from people in places like Bulgaria, Portugal, Greece, South Africa, the UK, Germany, Malta, Venezuela, Italy, and so many more. Talk about a great opportunity for global research that involves speaking to actual people who live in the places you're usually Googling for demographic insights. Unsettled naturally attracts some of the coolest people you'll ever meet, and you've got a whole month with them to soak up their knowledge and skills. If you're doing Unsettled right, you'll be building a community of people that are invested in your success and dreams. Dig into the weekly workshops and lunch and learns that allow you to connect with participants on a professional and personal level. Everyone is there to share what they excel at and help others. You can get feedback on upcoming projects and ideas from industry pros you normally wouldn't have access to. Imagine what you can accomplish professionally (and personally) with this new network of resources and support! Some of the pros I had access to in Bali: PR and publishing, sales, serial entrepreneurs, marketing & communications for a fortune 500 company, bloggers, writers, translators, Instagram influencers, branding and design experts, wholesale and purchasing pros, and so many more. It's no secret that Bali is one of the leading destinations for people looking to find themselves and, ultimately, chill out. 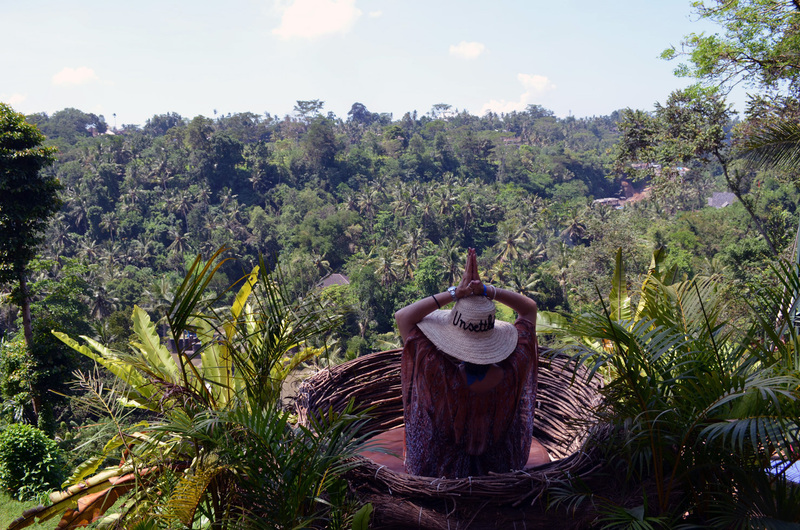 Bali is overflowing with healers, spas, yoga, meditation, and healthy living. Prepare yourself for a journey of self-discovery, healing, and inner peace. I found myself at a healer and reflexologist twice while in Bali. You'll find plenty of these experts in Bali, many with a long line of family members with particular gifts passed from one generation to another. There will always be naysayers, but there's a reason these ancient healing methods are still here. There's a lot to be learned from the locals on balance and peace. The Balinese are remarkably peaceful, gracious, and kind. I came home with a new perspective and an optimistic outlook on life. I find myself practicing the art of gratitude more and appreciating the simple things in life. Okay. Prepare yourself for some sappy - but real - stuff. Before I started my journey with Unsettled, I figured I would make a couple friends that I would maybe keep in touch with after. What actually happened was that I left Bali with 30 new best friends. When it was time to leave, it was an emotional experience I wasn't prepared for. I left behind 30 people I couldn't imagine not being a part of my life every day. While you might feel like a part of you is missing when you make it back home, it's quite a beautiful and profound thing to build such close friendships with so many people so quickly. Unsettled gives you the opportunity to build friendships with some truly amazing souls that you will hopefully cherish and carry with you forever. Ready to jump in? Check out Unsettled now and find your next adventure. Marketing Manager for growth & partners. Extroverted introvert with a background in gender equality & criminology. 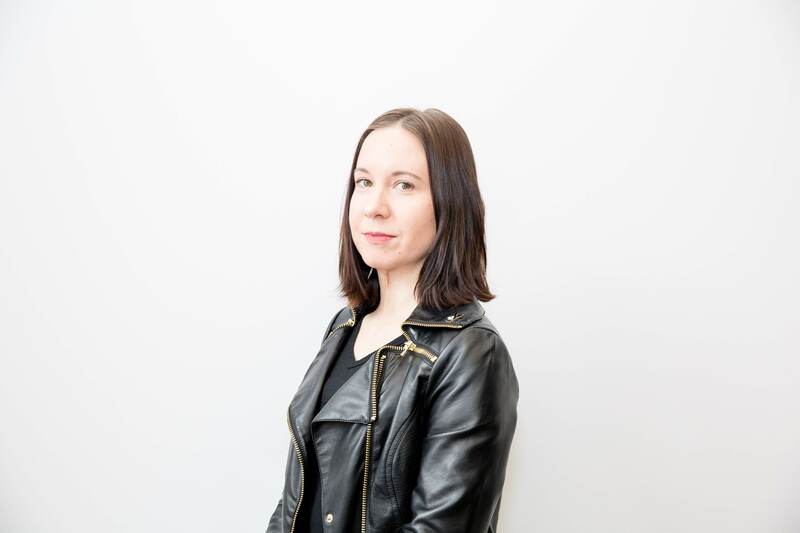 Passionate about people, social justice, & online engagement. Wherin we learn how the Grade A team of Managed IT experts has grown their business through caring deeply about their clients AND their employees. Rebel Managed WordPress = your website is automatically updated, malware is removed, your SSL certificate is installed for free, and many more goodies.